Are you one of those who tinkers around with their smartphones to use it to its full potential? Do you have a tendency to test and report bugs to get things fixed/improved? If yes, you are what people refer to as Power Users/Testers. 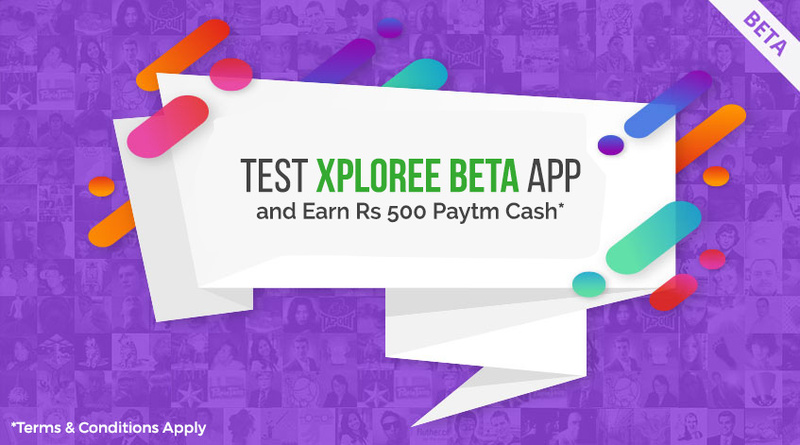 Welcome to The Xplorers’ Club which is all about letting power users evaluate the application beforehand, identify bugs, give early feedback on new features, and get rewarded upto Rs.500 Paytm cash! Every functional* bug you report will get you Rs.50 Paytm cash and a chance to explore the beta version of the Xploree mobile keyboard app. Download Xploree Android Beta Version from the Google+ page. Beta app is not publicly available and its restricted to select audience only. Test Xploree beta app and share your feedback for all the issues and bugs on the Google+ community page. For each unique functional bug identified, you will be rewarded with Rs 50 Paytm cash. Only the unique functional bug will be rewarded. Functional bug means any app event / issue which is recurring in nature. Spelling or one-time errors etc are not counted as functional bugs. In case the reported bug is already reported on g+ page by another beta user than it will not be eligible for Rs 50 Paytm cash. Reported bug needs to be clearly mentioned in detail along with screenshot on Google+ community page. Any beta user can earn max Rs 100 paytm cash per calendar week and upto Rs 500 Paytm cash per Calendar month. Paytm Cash transfer will be processed on weekly basis and will be received in approximately 5-10 days from the reporting date. Users who engage in spamming the Google+ page with irrelevant content or repeated upload of the same reported bug would be banned from the page and all future engagements. Also, their earned paytm cash would go on hold. This being a Trial campaign. Hence, only first 10 eligible users will get rewarded each calendar week of the August month. Team Xploree’s decision will be final in all matters. Get most out of Xploree and start sculpting its tomorrow (future), join The Xplorers’ Club today! Since the app is in Beta version, all features may or may not function as expected. Xploree Team expect you to share your feedback about all these unexpected behaviours and crashes. Basis your feedback, we will continue to upgrade our app and you’ll receive all new updates from The Xplorer’s Club, delivered to your Google+ community feed.